Jumping out of bed in the morning reveals a different mood if you live in a home like Casa Mecano. Part of Robles Arquitectos` portfolio, the cheerful interior of this dreamy bedroom gives one the impression of outdoor living and supports the idea of residential bliss. Delightful residential spaces with this single element in common – the floor-to-ceiling windows – are filled with natural light and deeply connect the viewer with the landscape beyond the glass. And that’s just one of the ways we found to go back to nature. 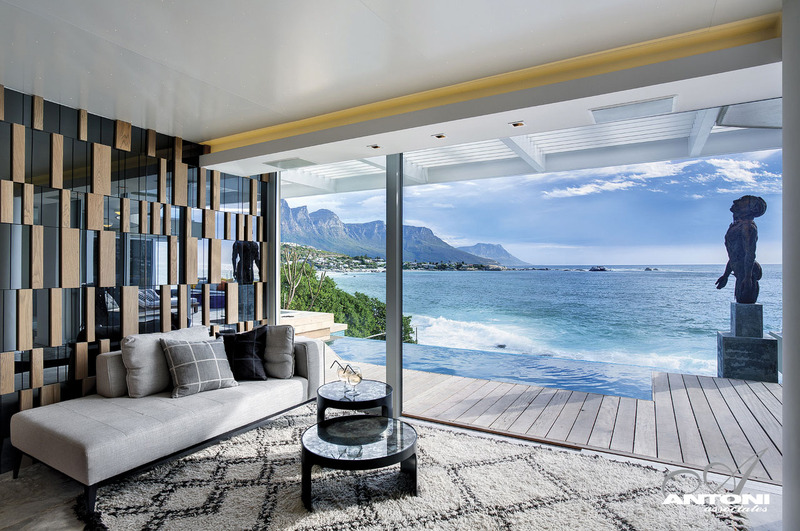 The Clifton View 7 Apartment in Cape Town boasts floor-to-ceiling windows opening on to the outdoor spa terrace. 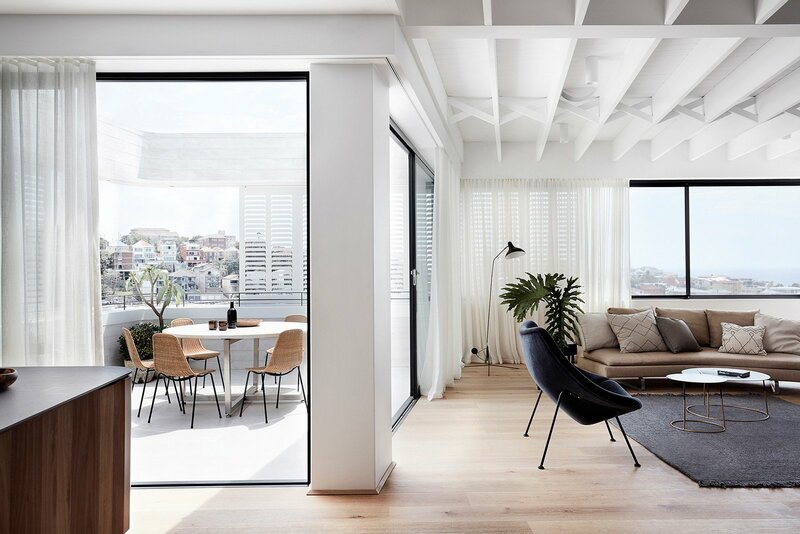 Antoni Associates imagined an uninterrupted connection between panoramas of the boulder-defined Clifton beach below and the Twelve Apostles mountain range in the distance. We were baffled by the clean simplicity of this bedroom seen in Villa Kishti. Just one floor-to-ceiling window revealing a stunning view of the Caribbean can become the defining element of the room. Supported by the view, this serene bedroom flaunts a cozy collection of warm colors accentuated by soft, natural light. The Picot Residence above was designed by Pepe Calderin Design as complementary to the bustle of the Big Apple below and its incandescent lights. Mirroring in the floor-to-ceiling windows, the elegance of this space speaks about an applaudable approach to the design process with stunningly relaxing effects. From small extensions to breathtakingly modern estates, floor-to-ceiling windows bring new perspectives. Try to imagine yourself living in this minimalist mid-century estate in New Canaan, Connecticut – a partly buried collection of buildings imagined by Roger Ferris + Partners as immersed in light. The social space shown above flaunts an amazing floor-to-ceiling glass panel completely opening the interiors to the manicured garden. A dream, right? 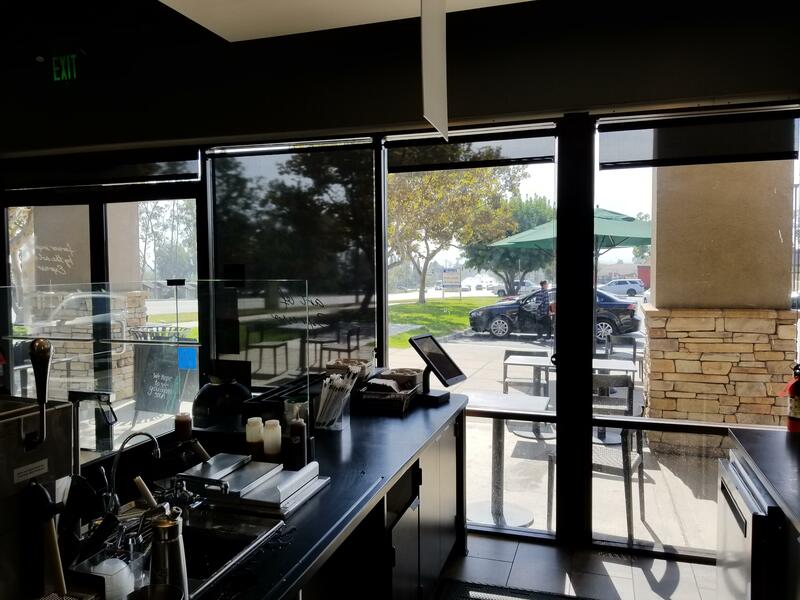 Seeing the ocean dissipating into the sky from behind a glass wall evokes a deep understanding of the way people relate to the environment through design. As an example, one of Fougeron Architecture‘s projects includes a cantilevered master bedroom with floor-to-ceiling windows exploring views of the Pacific ocean over a 250-foot drop. Set against a dramatic landscape, the Fall House in Big Sur, California, displays an oversized corner window capturing the wild surroundings. When it comes to mirroring the ocean, windows that expose a complete picture have this unique ability of creating a strong visual bridge with the natural outdoors, bringing the calmness of the sea inside, but also safely display nature’s dramatic weather. The Nettleton 195 House by SAOTA and Antoni Associates boasts stunning panoramas of Cape Town’s view of how the ocean meets the sky, a truly inspiring and peaceful scene. 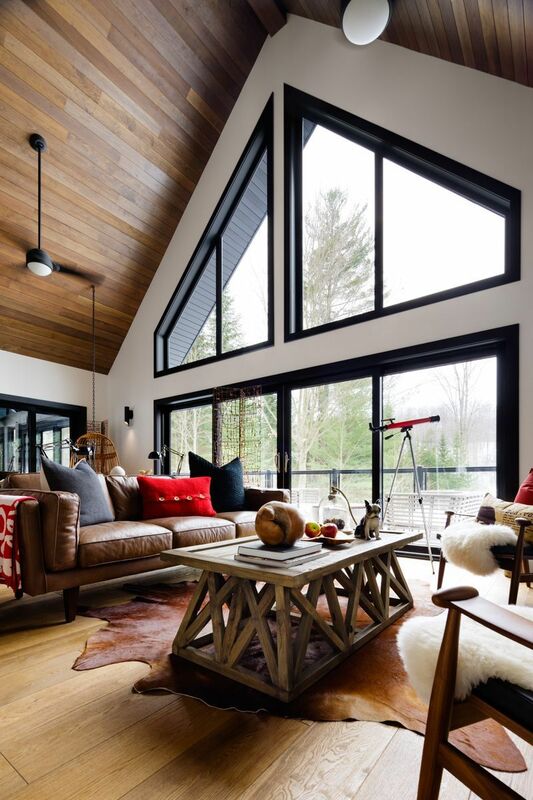 Subtly reflecting in the large, dark-framed floor to ceiling windows, natural light adorns the interiors of this luxury hillside home known as Malbaie VI Marée Basse and designed by Mu Architecture. Within this dynamic light show, admiring the surroundings becomes part of the owner’s everyday routine with the help of expansive use of glass. IDIN Architects imagined the W House in Thailand for a travel and kayak enthusiast. Floor-to-ceiling windows in the bedroom reflected on the floor enhance the simplicity of this space and hint at the owner’s adventurous spirit. Even lacking awe-inspiring views, floor-to-ceiling windows give you the opportunity to explore a landscaped garden or the flower-adorned back yard. This home office space opens to an interior courtyard was imagined by Andrés Serpa as a cozy tropical home in Costa Rica’s Playa Grande – the Orizon Residence. Keeping in mind the owner’s wish to bring the outside in, Alejandro Dumay Claro and Francisco Vergara Arthur designed La Campana House as a sustainable home gathering views of the spectacular mountain valley it occupies. Oversized windows make sure light is present throughout the day, inviting family and guests to visually explore the surroundings. Surprisingly oval-shaped, sustainable and cleverly oriented towards unobstructed views of the surrounding lake and mountains, Lake Lugano House by JM Architecture was dressed in floor-to-ceiling windows on the upper social area, exposing the landscape otherwise inaccessible. An inspiring, dynamic autumn mirroring effect in the pool can be admired from across the terrace through expansive windows. The sublime seclusion of this Maryland home imagined by architect Robert Gurney, its unique contemporary architecture and transparency are melted into a cozy atmosphere by the existence of natural wood both in original and re-shaped form. Breezy and charismatic in its simplicity, this glass-walled social space seen in the luxurious 1232 Sunset Plaza residence is just one of the house’s framed view of the world beyond. Designed by Belzberg Architects, the modern $28,800,000 Sunset Strip property offers views of tall palm trees, luscious greenery and rooftops below. The sun offers intense experiences at many times during its rising or setting. 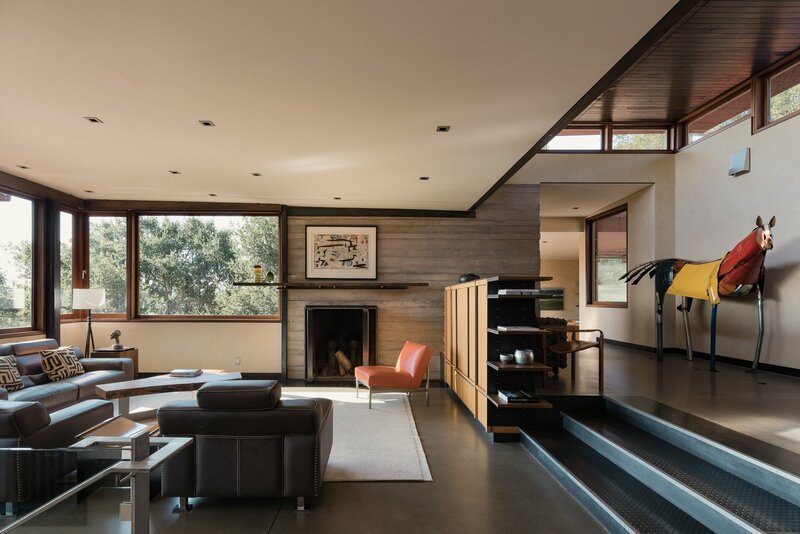 Seeing the colors change and feeling the breeze from behind a retractable glass wall is part of the daily ritual in the Carpinteria Foothills Residence. This contemporary hillside residence designed by Neumann Mendro Andrulaitis Architects explores panoramas of the coastal ridge below while displaying its volumetric shape as a light beacon. We can experience the sky’s exclusive colors, the gradual change in tones of the leaves, roaring waves crushing on the boulders nearby, the bustling city life, sparkling harbor lights, every corner this earth has to offer – and we can experience all this with respect, gratitude and love. Art, science, and nature offer solutions for needs as well as creative ways of materializing dreams. Using our collective background and our capacity of thinking ever forward, we can re-shape the world as we do glass – we just need a burning passion to melt reality. Glass is not only an amazing material to reshape, it opens up our perspective and creates a visual bridge to our home’s surroundings. Within the scenic landscape of the Incline Village in Crystal Bay, Nevada, the imposing Lake House designed by Mark Dziewulski Architects boldly rises on the edge of the lake. Besides concrete and steal used as the main building materials, glass makes this dark-skinned residence a viewing platform for the stunning panoramas offered by nearby Lake Tahoe. What you see above is not only an impressive floor-to-ceiling window decorating this home in France but also a creative solution for ventilation. 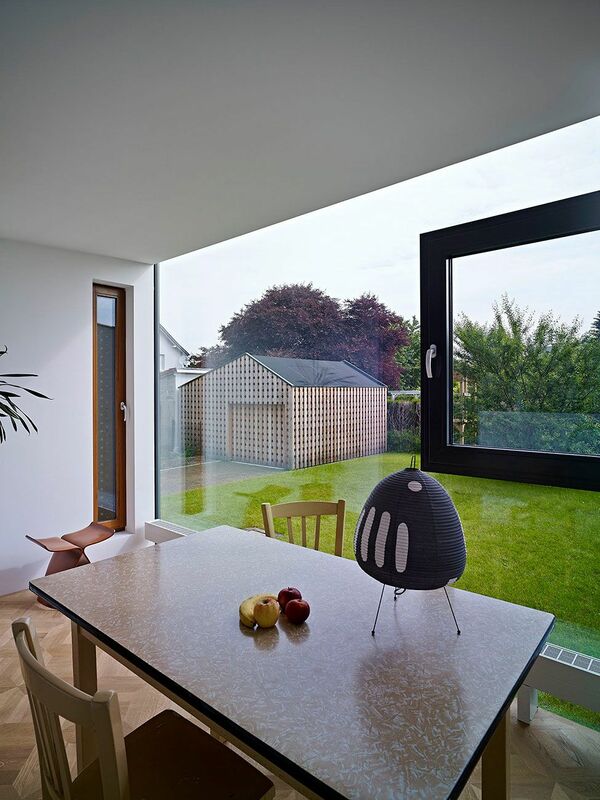 Loïc Picquet Architecte imagined a small outbuilding elongating the existing kitchen to accommodate the dining space and fill up the whole space with natural light. Found within a remote location in Montana’s Yellowstone Club, the delightfully luxurious Lower Foxtail Residence by Reid Smith Architects & Len Cotsovolos was dressed in triple-pane floor-to-ceiling windows all over the South-facing wall, redirecting the eye towards the elegant scenery. 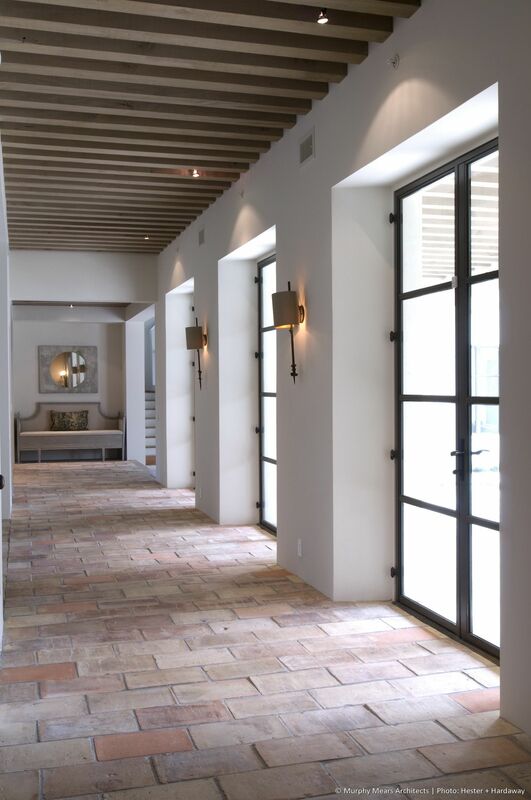 Horst Architects collaborated with Aria Design to fabricate a heavenly Laguna Beach home – the Rockledge Residence. Minimalist in design, this astounding ridge house showcases a powerful connection between the sophisticated interiors and the inspiring outdoors. This beach bedroom seems immersed in the clear blue ocean, proving the unlimited power of floor-to-ceiling windows. Following the coastline with your eyes until are aware of every detail would make for an outstanding morning ritual. Framing uninterrupted views of the fjord, the Northface House was Element Arkitekter AS‘s home resurrection project in Stavanger, Norway and the results are simply magnificent. Floor-to-ceiling windows capture views from the open living, dining and cooking volume cantilevering 3 meters over the lower levels. Simply beautiful! Looking out the floor-to-ceiling window and seeing the Hollywood sign is a design trait of the highly intriguing Nakahouse designed by XTEN Architecture. This tailored look was achieved by using black, white and splashed of bold color, all flooded by natural light from large windows. Dark frames on floor-to-ceiling windows in a pristine house like the Casa 115 by architect Miquel Lacomba make a powerful impact. This modern home in Mallorca was designed to be an “almost cinematographic” architectural experience, a journey through brightly lit spaces framed by floor-to-ceiling windows that expose every inch of the interior to stunning views. Overlooking a perfectly manicured garden, this elegant home designed by Eduarda Correa in Brazil impresses viewers with its use of wood and stone. Contrasting dark framed windows guiding the eyes towards the mountain range in the distance. 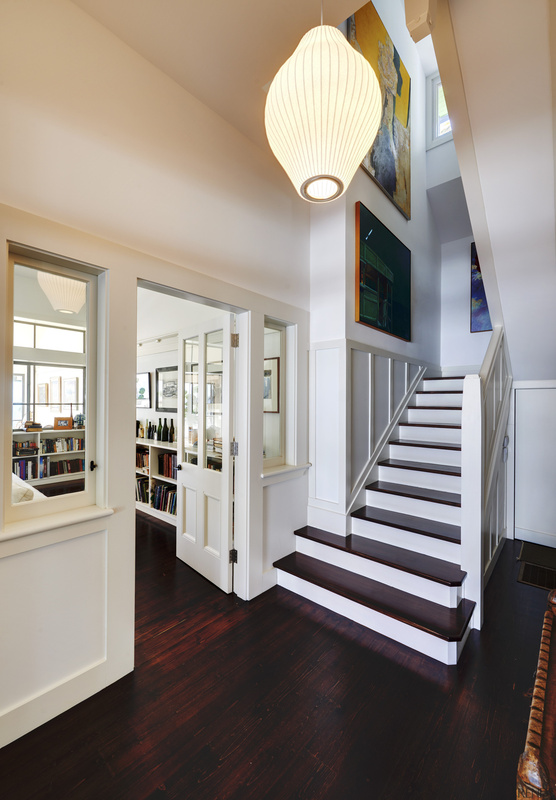 Extending an old house brings the possibility of flooding the new space with natural light. 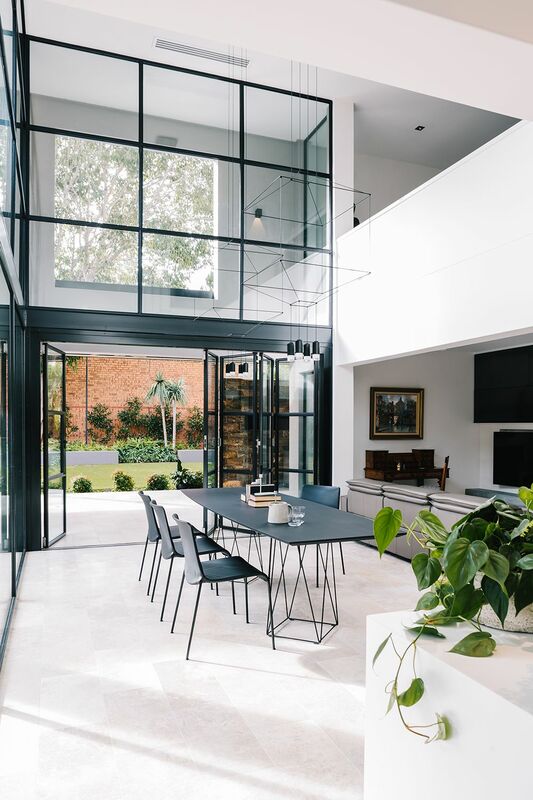 Canny Design imagined this Victorian residence in Australia with sleek, modern social spaces lined by a gunmetal grey-blue swimming pool mirroring and being mirrored in the floor-to-ceiling windows. That’s how you bring light inside. Overlooking the Peconic Bay on one side and the elegant forest on the other, this contemporary home exudes transparency just as you would expect from a home named the Clearhouse. 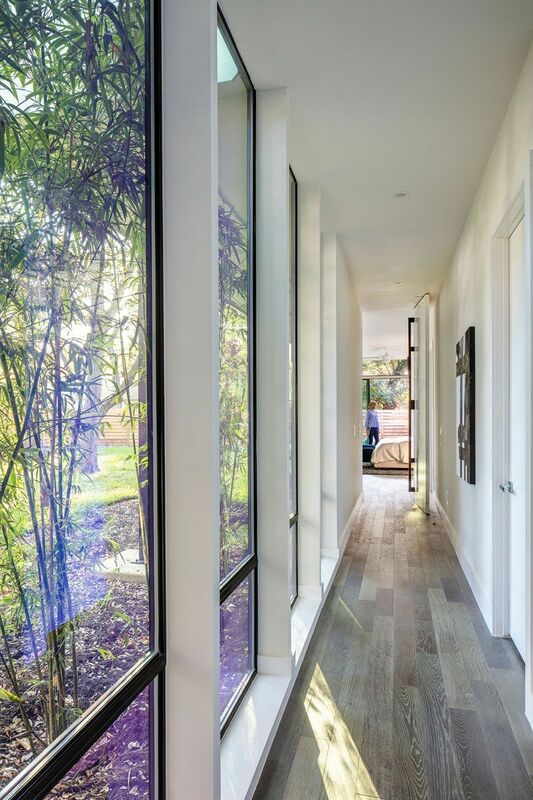 A brainchild of Stuart Parr Design, the modern home boasts floor-to-ceiling windows on all sides, exposing the indoors to reflections of the colorful nature just behind the glass. When minimalism meets natural light, when artificial black and white contrasts with naturally vivid green grass, a very special, almost experimental atmosphere is created. Customized with oversized floor-to-ceiling windows by OAB, this home in Barcelona known as the AA House offers an imposing collection of spaces to explore every day and a permanent visual contact with the outdoors. And since we’re at the end of our list, this luxury home in Los Angeles closes the show with its sophisticated curtains covering or revealing the half transparent, half translucent floor-to-ceiling windows. How does a vacation home on the island of Krk look like? It looks fabulous and it looks outwards, towards the water and mountains through expansive use of glass. 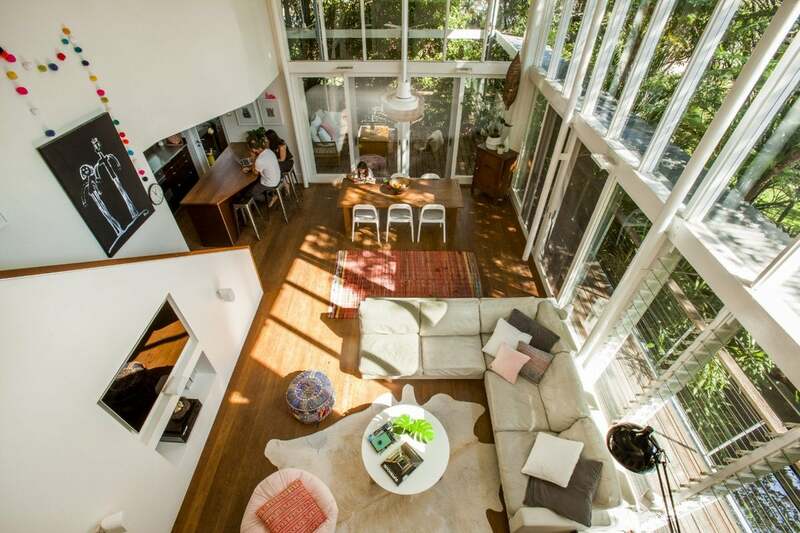 From floor to ceiling, this home offers the complete picture of an ever-changing scene. Thanks to DVA Arhitekta, another dream home with amazing views was erected to complete someone’s dream. This Australian River House by MCK Architects overlooks the Lane Cove river nearby from its magnificently refreshing rounded glass wall. From floor to ceiling, fully opening to welcome the breeze, the glass wall shapes a design that resonates with the undulating coastline in the distance. Revealing the surroundings, floor-to-ceiling windows induce an outdoor feel and capture delicate or dynamic changes in weather while updating the interiors with a natural ambiance. So we invite you to admire inspiring examples of glass use in modern residences. By the end of this list, you will be thinking if that boring wall you have in your home could be replaced with a transparent window to the world. Knowing that whenever you feel tired and want to rest in the daybed by the pool, you can, is a very reassuring feeling. Costa Rica home Casa Torcida was imagined by SPG Architects as a steel-framed dream home with glass walls and floor-to-ceiling windows connecting the indoor spaces to the panoramic views beyond the infinity pool.